The case for my Singer Featherweight was also in some poor condition. One of the latches needed to be replaced. I decided to give my case a spiffy new look by decoupaging it. I used a variety of vintage pattern pieces, instructions, pages from a 1960's era book titled Sewing Made Easy, and sewing pattern pages from Workbasket. You can find things like this at yard sales, garage sales, rummage sales, library book sales, ebay and etsy. To start I clipped away any loose material on the case. I then sanded the entire exterior with sandpaper. The goal was the scuff up the surface. I wiped it down with a damp rag and let it air dry. I then sealed all the edges and any areas where the original material was remove with a bit of mod podge. To keep the black surface from coming through my paper I painted the exterior with a white paint. This paint was quite cheap and is actually called "economy paint". I didn't care about the painted end results as I knew it would be covered with paper. The next day I decoupaged. I used mod podge with a matte finish to glue on and go over all my paper bits. I tore the pages up, added pattern tissue in a pleasing manner. If I were to do this again I'm start by covering more the case with the big pieces of sewing patterns before adding my pages. What is cool is if you place a pattern over a page usually the words below will show through the pattern. The tissue paper pattern pieces will wrinkle and are delicate to work with. Every so often I'd take a break and place it outside to air dry as it was a warm day when I was working on this. I kept adding bits and layers until I had covered the surface in a pleasing manner. There is not right or wrong with this. My last step was to coat the entire case with Polycrylic in a satin finish. I used 3 light layers carefully brushed on. Some people will actually do more layers and sand some down every so often until they get a smooth surface. I didn't think that would really matter. Now it is ready for use. I really like how it turned out. Love It! I have a very rough case with some damage on the top. (Spool pin poked thru when shipped.) I really hate to spend $85 for a replacement one. Such a creative idea. I have a broken latch as well. Where did you find a replacement? By day I make my own line of handbags, messenger bags, and tech covers that I sell on my own website, etsy, and other venues. All my sewing machines are vintage mechanical sewing machines. I use an industrial sewing machine for most of my bags. I also have a repainted pink Singer 221 Featherweight, a Singer 500A, Singer 206k, and a Singer 215G. 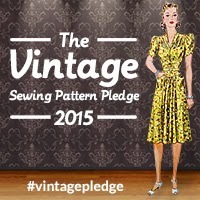 I am taking my love of vintage sewing machines and learning more about restoration and repair. These were all awesome machines meant for a lifetime of sewing.